We are grateful for the partnership we have with Xenos, and your generous support financially and in prayer. Thank you so much for coming alongside us so faithfully and for so many years. My theme for my annual update was joy—and this has spilled over into the report you now have. Once again, thank you for your support in prayer and in finances. May you all be encouraged with what God is doing with your gifts! More detail is included below in our Annual Report for 2016. 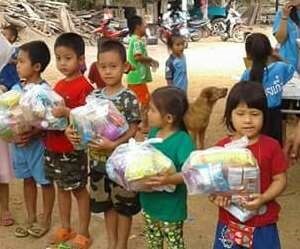 The House of Blessing Day Care (HOB) serves ethnic minority children from 3 urban slum communities in Chiang Mai, providing a 3 year preschool program that stimulates intellectual, social, spiritual, emotional and physical development of the children in their care. In 2016, a total of 72 children attended the HOB, with 47 presently enrolled (their term will end in March). Of those, 19 anticipate finishing their studies and graduating. 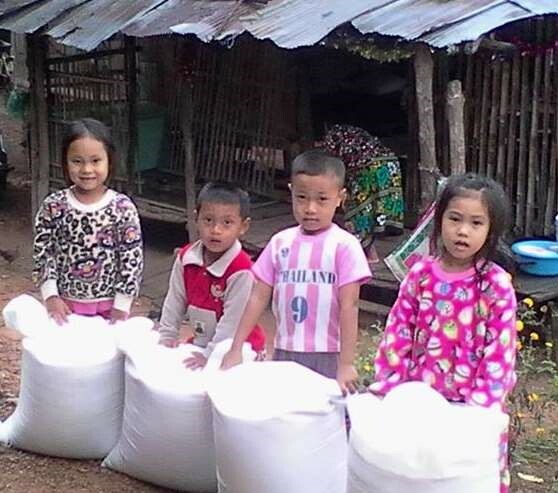 In 2016, we had children from 4 ethnic minorities—Lahu, Akha, Karen and Lawa. spiritual growth. The children are divided into three groups for their lessons based on their ages and abilities. There is also an emphasis to teach good hygiene, with good hand washing and tooth brushing done daily at the center. If needed, the center is able to help with baths and wash clothes for the children. In 2016, we had a dentist examine and do fluoride treatments on each child. a native English speaker who was creative and fun made language lessons more enjoyable. Graduation is indeed a special activity—and pictured here is Kim Brown giving a certificate to one of our our 25 graduates from March, 2016. All but one of them started 1st grade in Thai public schools in May, 2016. Nineteen are receiving scholarship help. Our Christmas Celebration is an annual event enjoyed by all of our HOB families. After the success of partnering with an ethnic minority church last year, the Christmas celebration was again held in one of the urban communities. Parents and special guests were treated to a morning of worship, with special musical numbers by the children. Each child received a new outfit. The day concluded with a delicious lunch for all 200 guests. Sadly, families continue to face problems as in the past, including low income, lack of regular work, no vocation, not owning a home, no citizenship, and divorce. This year, we are seeing more parents who are in jail. There are parents struggling with AIDS, ones who use their children to work, and others who are abusive to one another and their children. The HOB staff teaches child rights and protection issues, and works with the Social Welfare department, but there are limited resources and answers to these problems. Children’s health needs, include tooth decay, lice, pink eye, rashes, colds, and coughs and continue to be a problem. We are able to help with medicines and medical care when necessary. In the midst of the problems, we have successes too! One of the House of Blessing’s greatest successes is that our students who graduate from our 3 year program stay in school (about 93% continue in Thai public schools, and continue to be followed by our HOB teachers.) One of my sweet joys this year is seeing some of our former HOB students from our first class 15 years ago now in college—pursuing their academic dreams. We are so pleased that one of our HOB graduates is successfully finishing her third year of university, and another will be starting college this next semester! Our goal is to have students stay in school to reach their academic goals, and so to have these HOB students in college is a wonderful success! I hope you are encouraged by these stories. Back in 2001, head teacher Khruu Kanchana had met Wanna selling Akha handicrafts with her mother every evening in the Night Bazaar. Kanchana then went to visit the family, and learned that Wanna’s father was an opium addict who did not work, but relied on his wife and children to sell trinkets so that he could buy his drugs. Because Wanna’s mother could not speak Thai at that time and did not have Thai citizenship, she was unable to find other employment. The family housing situation was unstable, as they often had to run from the police. 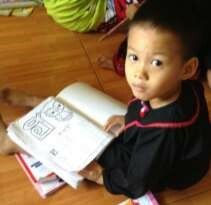 In the midst of this family chaos, Kanchana asked Wanna’s mother if she would like to have Wanna study at the day care center in order to learn to speak, read and write Thai. Wanna and her older sister came to the day care center and loved studying there. Both of them were diligent at their studies and it was not long before their spoken Thai had improved a lot. Fastforward to 2016—and Wanna is in her first year of post high school education (working towards an associate degree in computer). She has a desire to help children who are as disadvantaged as she was, and wants to work for a foundation that cares for children. Joy! Teera is a young man from the Akha ethnic minority group who was in the first class at the HOB’s day care center/kindergarten for children living in urban slums. He came not understanding any Thai. His father was in jail, and his mother had difficulty earning enough money for the family to survive. HOB helped by providing food, supplies and a scholarship and Teeera worked hard to be a good student. 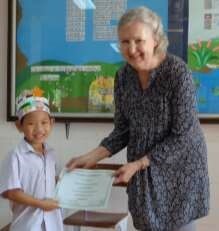 He studied with HOB for 3 years before entering the Thai public school system, where he excelled. After graduation, he earned a place in college to study engineering in Bangkok. The HOB teachers continue to follow his progress, and are currently looking for scholarship help for him. 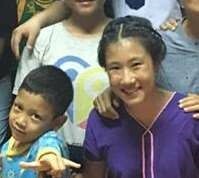 Ahsor is also from the Akha ethnic minority group and studied at the HOB day care center/kindergarten along with her older sister and brother. After they graduated, all of the siblings attended Thai public school. However, when Ahsor was in 5th grade, her father died. Ahsor’s mother had difficulty making a living, and 2 years later, abandoned all three children. Ahsor’s siblings did not have citizenship which made getting a good job difficult, but they both quit school to work and care for their younger sister. Ahsor was able to finish high school, and is now working with her older sister in a coffee shop and going to college. Our mailing address: IMEMF PO Box 488, Chiang Mai 50000 Thailand. Email: info@imemf.org. If you would like our monthly prayer letter by email, please let us know!